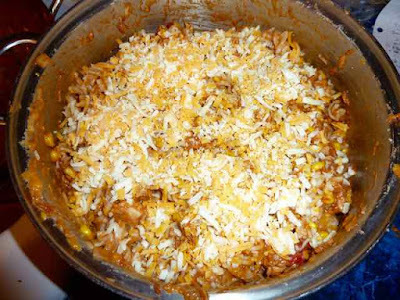 This casserole is easy and makes a delicious, filling and very satisfying meal. It has become one of our favorite quick meals. I love the seasonings and the melted cheese. This recipe is made from a combination of recipes I found on-line while looking for a quick dinner to make. It can be made with pieces of chicken, ground turkey or beef, tofu cubes, tempeh cubes, vegetarian ground ‘meat’ or any other protein you would like, except maybe fish. I’m sure you can make it dairy free by using dairy free cheese shreds. The home made taco seasoning mix is based on a great recipe by Kittencal that I found on food.com. Protein of choice: Cubed chicken or turkey, ground turkey or beef, cubed tofu, vegetarian ground ‘meat’, etc. 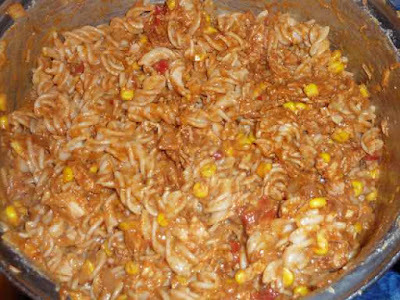 Corn pasta tastes really good in this recipe. 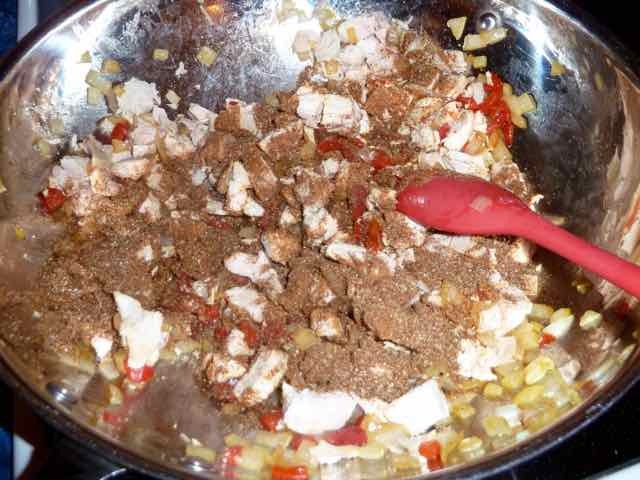 1) In a small bowl add all the taco seasoning ingredients and mix well. Set aside. 2) Bring to a boil a large pot of well salted water for cooking the pasta. Add a Tbs. of oil to the water to keep the pasta from sticking together after cooking (optional). 3) While the water is boiling, chop and sauté the onion and peppers until the onions are translucent. Cooking the chopped onions and peppers. 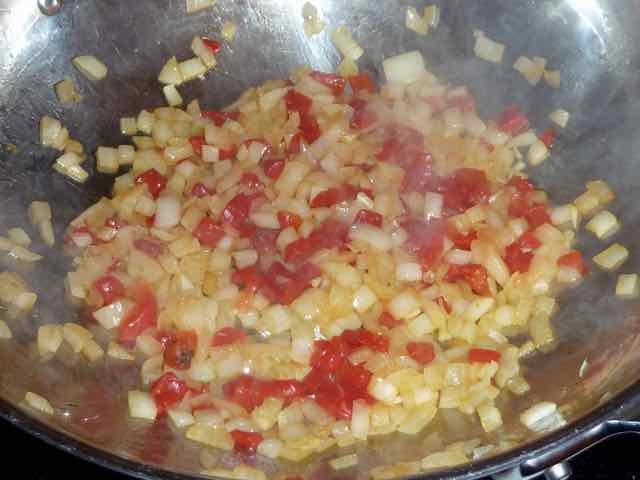 4) Add the meat or vegetarian ‘meat’ alternatives to the sautéd onions and peppers. If using raw meats sauté until cooked, breaking up the ground meat in to smaller pieces. If using cooked meat or vegetarian alternatives heat and stir until hot. Add the garlic and the taco seasoning as the proteins are cooking. Adding the meat (or meat alternative), garlic and taco seasoning. 5) Add the tomato sauce and corn and bring to a simmer. After adding the tomato sauce. 6) Meanwhile, when the water comes to a boil cook the pasta according to the package directions. Do not overcook the pasta, al dente is preferred, as the pasta will get a little mushier when the onion and meat mixture is added. Drain and rinse the cooked pasta and then put it back into the pot. 7) Add the cooked onion and meat mixture to the cooked pasta and mix in. Tomatoes mixture with the pasta and half of the cheese mixed together. 8) Add half of the shredded cheese and mix into the pasta. 9) Put the pasta mixture into an oven safe pan. My pasta pot has metal handles so I just keep it in the pot. Cover the mixture with the remaining shredded cheese. Covering the top with the other half of the cheese. 10) Place the pan or pot into the oven and broil on low about 3-5 minutes or until the cheese melts and bubbles. Watch it carefully, so it does not burn! The Mexican Pasta Bake out of the oven with the cheese melted. Yum! 11) Serve and enjoy. Corn bread goes really well with this dish. GLUTEN FREE MEXICAN PASTA BAKE Ingredients 1 lb. 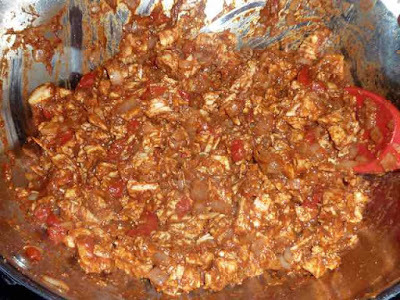 Protein of choice: Cubed chicken or turkey, ground turkey or beef, cubed tofu, vegetarian ground ‘meat’, etc. 8 oz. Tomato Sauce 1 large Onion - chopped 2 large Garlic cloves - minced or crushed 1 fresh Red Pepper - cored and diced 1-2 Tbs. Oil - for sautéing the onion and pepper 1 lb. 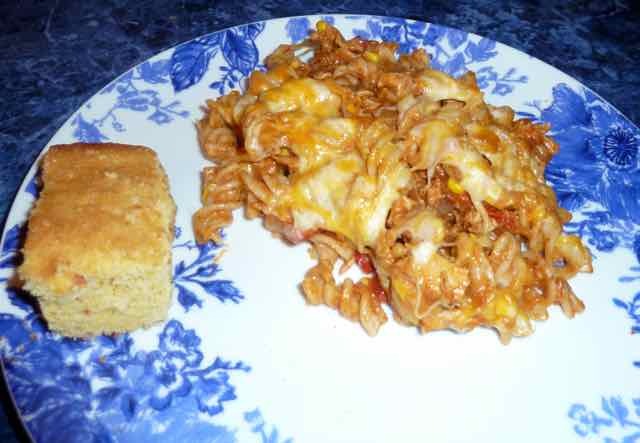 Gluten Free Pasta - spirals work best Corn pasta tastes really good in this recipe. 1 cup Corn kernels - frozen, fresh or canned 8 oz. 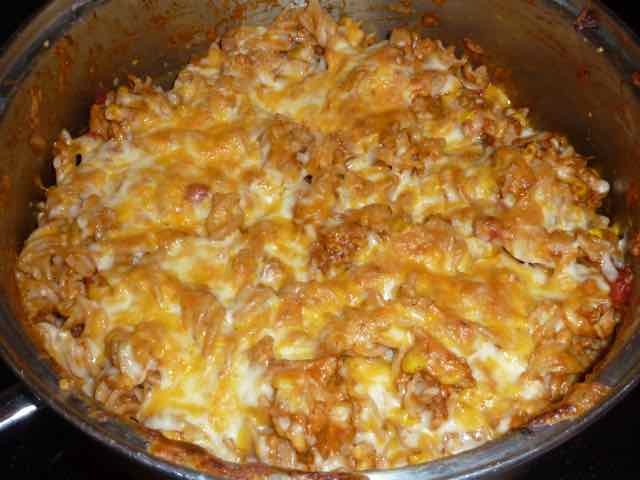 Shredded Cheese - Mexican Blend or Cheddar 1 recipe or 1 packet Taco Seasoning TACO SEASONING Ingredients 1-2 Tbs. Mild Chili Powder 3 tsp. 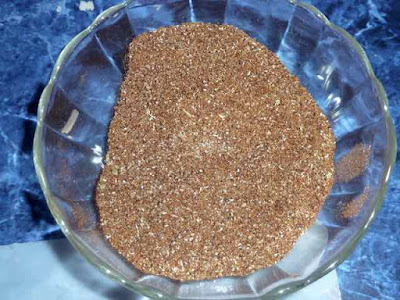 Ground Cumin ¾ tsp. Himalayan Sea Salt 1 tsp. Black Pepper ¼ tsp. Oregano ½ tsp. Onion Powder 1 tsp. Garlic Powder ½ tsp. Paprika to taste Cayenne Pepper (I did not use any because I do not like spicy hot food.) Directions 1) In a small bowl add all the taco seasoning ingredients and mix well. Set aside. 2) Bring to a boil a large pot of well salted water for cooking the pasta. Add a Tbs. of oil to the water to keep the pasta from sticking together after cooking (optional). 3) While the water is boiling, chop and sauté the onion and peppers until the onions are translucent. 4) Add the meat or vegetarian ‘meat’ alternatives to the sautéd onions and peppers. If using raw meats sauté until cooked, breaking up the ground meat in to smaller pieces. If using cooked meat or vegetarian alternatives heat and stir until hot. Add the garlic and the taco seasoning as the proteins are cooking. 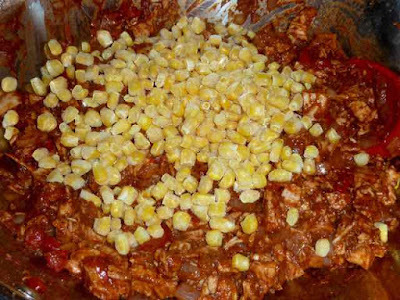 5) Add the tomato sauce and corn and bring to a simmer. 6) Meanwhile, when the water comes to a boil cook the pasta according to the package directions. Do not overcook the pasta, al dente is preferred, as the pasta will get a little mushier when the onion and meat mixture is added. Drain and rinse the cooked pasta and then put it back into the pot. 7) Add the cooked onion and meat mixture to the cooked pasta and mix in. 8) Add half of the shredded cheese and mix into the pasta. 9) Put the pasta mixture into an oven safe pan. My pasta pot has metal handles so I just keep it in the pot. Cover the mixture with the remaining shredded cheese. 10) Place the pan or pot into the oven and broil on low about 3-5 minutes or until the cheese melts and bubbles. Watch it carefully, so it does not burn! 11) Serve and enjoy. Corn bread goes really well with this dish. Thank you. Happy to hear that you like my posts.